Baileys Irish Cream (the registered trademark omits the apostrophe) is an Irish whiskey and cream based liqueur, made by Gilbeys of Ireland. The trademark is currently owned by Diageo. It has a declared alcohol content of 17% alcohol by volume. Baileys Irish Cream was created by Gilbeys of Ireland as it searched for something to introduce to the international market. The process of finding a product began in 1971 and it was introduced in 1974 as the first Irish Cream on the market. Despite attributions to Andrew Bailey of the R.A. Bailey Company, no such person existed. The choice of the name Bailey was based on branding. Irish Cream can be drunk by itself, over ice, or as part of a cocktail. It is also commonly used as an addition to coffee in lieu of cream or sugar and also, with the Baileys unboiled, served with Horlicks. As is the case with milk, cream will curdle whenever it comes into contact with a weak acid. Milk and cream contain casein which coagulates when mixed with weak acids such as lemon, tonic water, or traces of wine. While this outcome is undesirable in most situations, some cocktails specifically encourage coagulation. This coagulation has given rise to an urban legend in Belgium and the Netherlands that the combination of Baileys and tonic is lethal. A Cement Mixer is an alcoholic drink usually made with lemon or lime juice and Baileys Irish Cream though acidic alcohols can replace the juice. A shot of juice is taken first and held in the cheek, followed by a shot of Baileys, with the two mixed in the mouth. The acidity of the juice curdles the Irish cream and the mixture is either swallowed or spat out because of the nature of the taste and texture felt inside the mouth. 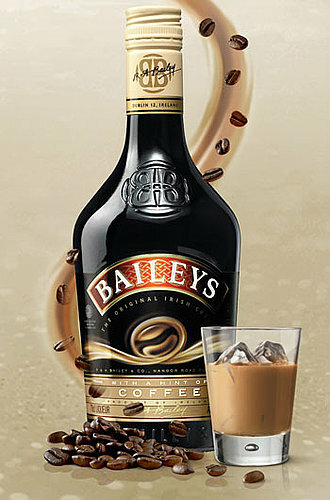 Baileys Coffee is made using a measure of Baileys in a cup of coffee and then topped up with steamed milk and cream.